In the book, The Seven Habits of Highly Effective People, Stephen R. Covey asks you to imagine that you stumble across a man working feverishly to cut down a tree. After more than five hours, he’s exhausted and feeling beaten. When you ask why he won’t stop to sharpen his saw, the man replies, “I don’t have time to sharpen the saw, I’m too busy sawing!” Anyone who has tried to work with a dull saw will tell you it’s not only slow, exhausting work, but it’s also dangerous. The time you’ll save by working with a sharp saw will more than make up for the time it takes to sharpen it. This is especially applicable when it comes to your career goals. As technology advances and knowledge increases throughout the world, your job responsibilities will have to change to keep up. As you set career goals, be sure to focus on the technological advancements in your field, and determine to be on the cutting edge. 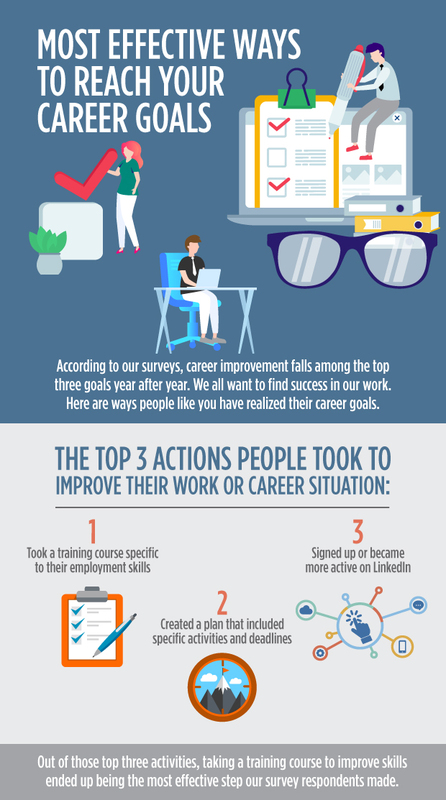 According to our surveys, career improvement falls among the top three goals year after year. Improving our ability to produce and provide for others and ourselves is paramount. So it makes sense to set goals continually that will help us increase our ability to produce. Take some time this week to consider your career goals. How can you become a more effective asset at your company? What do you hope to be doing five years from now? Are the things you’re doing today going to move you closer to your goals? Do you imagine running your own startup or small business in the future? If so, what are the next steps that will move you toward that goal? What skills do you need to develop or strengthen? Write your goals in your planner. Think long-term first and then break those goals down into short-term steps. Determine what will help you grow the most, and set aside time to ensure you do it. This exercise will produce more than one important goal. 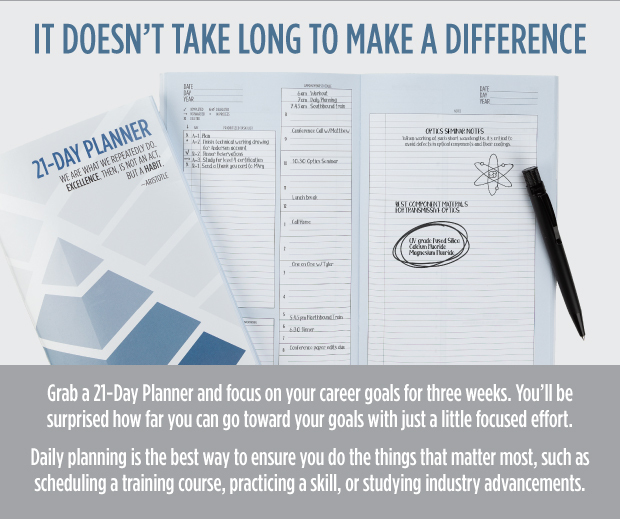 Use as many Goal Planning Forms as necessary to set solid, deadline-driven goals that will take you where you want to be.